You keep saying you’ll get around to planning ahead for end-of-life issues, but somehow, it always drops to the bottom of your list of things to do. It doesn’t have to be a drag to tackle this chore. This Friday, March 22, 1:00 p.m. to 3:00 p.m., kick end-of-life planning off of your bucket list with Gail Rubin’s Laughing and Learning End-of-Life Workshop. The two-hour class through UNM’s Osher Lifelong Learning Institute costs $20. It will be held at the UNM Continuing Education Center, 1634 University Blvd NE, Albuquerque, NM. Register for class 86475 through Osher’s website. The Five Wishes form helps you express your medical wishes in easy-to-understand terms. Even though humans have a 100% mortality rate, only 25% of us do any end-of-life planning. The Laughing and Learning workshop will give you the tools and the inspiration to take practical steps for outlining your funeral plans/memorial celebration, drafting your own obituary and/or famous last words and preparing advance medical directives. Funny film clips, supportive conversations and take-home printed materials are included in this workshop. Attendees will participate in Death Café-inspired discussions, tackle a quick first draft obit with the help of provided questions and receive their own copy of The Five Wishes form. You will laugh in the face of death and learn what you need to know BEFORE someone goes and dies. 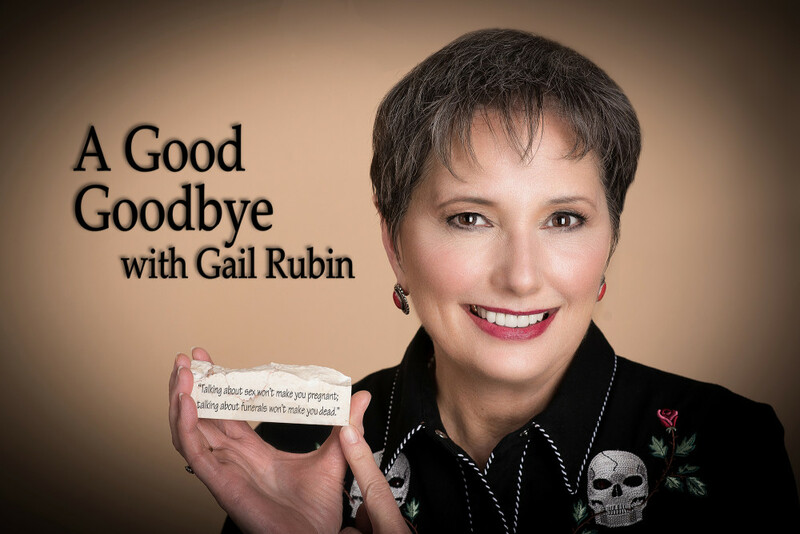 Gail Rubin, CT, the Doyenne of Death®, a 2019 Women of Influence Award winner.